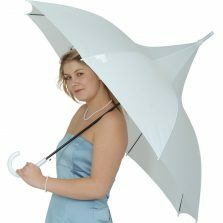 Light, strong and very classy, this large white aluminium umbrella is perfect for weddings, sports events or keeping in the car boot [just in case]. A recent addition to our range – the Large White Wedding Aluminium Umbrella. 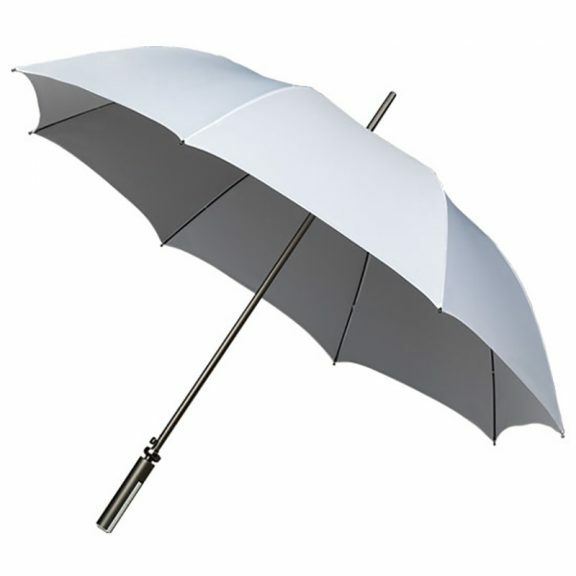 Oozing quality, this smart looking white wedding umbrella has a titanium coloured aluminium shaft. 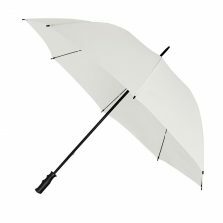 As well as a matching handle with a very cool, colour coordinated, straight rubber grip, generous sized eight panel canopy, this umbrella is also equipped with an automatic opening mechanism. 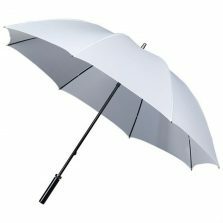 Canopy width is a generous 120 cm / 47″ and it’s 97 cm / 38″ long. 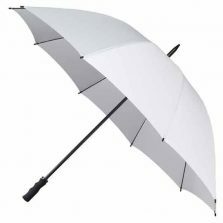 So, if you need a good quality, stylish large white automatic opening umbrella for weddings, this could well be what you’re looking for.